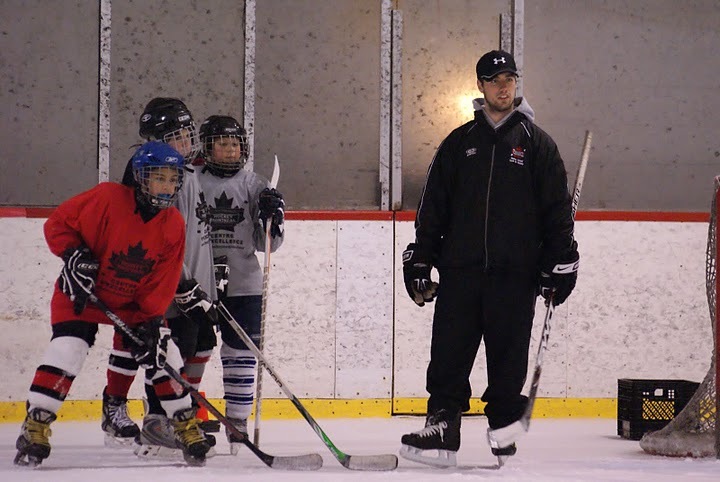 The Hockey Montreal Junior Development program is designed to provide players with an opportunity to enhance their individual skills in a positive, learning environment. The primary focus of the program is centered around on-ice fundamental skills, balance, edge control, puck control, passing and shooting. Family and friends are invited to come watch the FRIDAY full ice game. 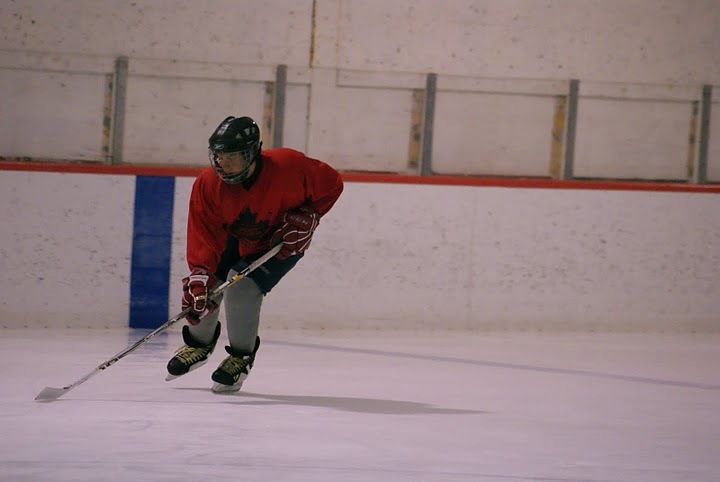 The Hockey Montreal Senior Program is designed for the more accomplished player who is ready to participate in more game-like situations. Refinement of individual skills and an introduction to individual tactics is the focus. Small space games are used to help the players understand proper offensive and defensive responsibilities. 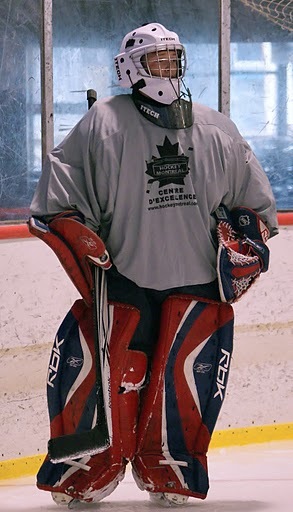 Hockey Montreal’s “Showtime” Goalie School will focus on developing strong technique, proper positioning and on improving our athlete’s self-esteem, and self-discipline. Our athletes will understand the difference between “working to get better” or wanting to get better. -Developing proper movement and understanding crease management. - Developing a strong awareness and ability to control pucks by redirecting or freezing and proper rebound control. -Repetition of specific movements to be retained in muscle memory, being able to react automatically in pressure game like situations. -Understanding the value of conditioning and to use our sessions to challenge them both physically and mentally. Learning takes time…..positive feedback and correction…….and lots of repetition! Our “Forward Elite Camps” focus on advanced skating techniques and puck skills. Forwards are taught how to effectively “read and react” to various offensive and defensive situations. 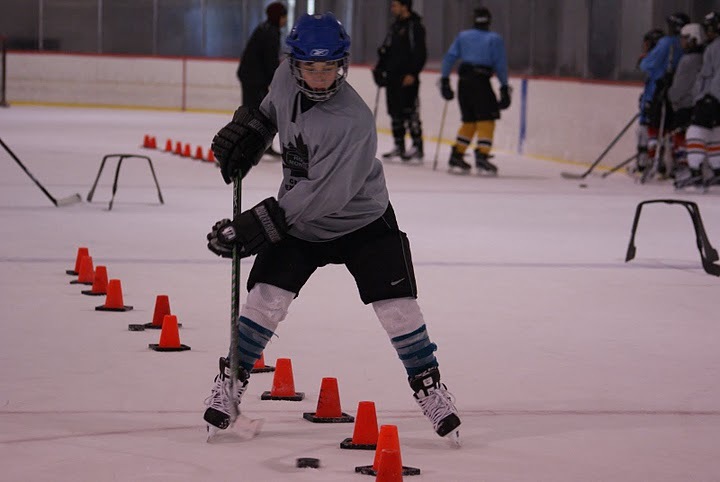 Our “Defense Elite Camps” focus on advanced skating techniques and puck skills. Defenseman are taught how to effectively “read and react” to various offensive and defensive situations.